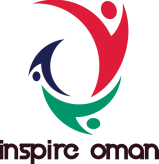 Inspire Oman is a diverse group of professionals from a range of educational backgrounds and nationalities ensuring that our clients always have access to knowledgeable and supportive staff. Our experience in the region has enabled us to build strong relationships with local business and educational institutions, providing us with access to a number of specialists in a wide range of fields. Our Arabic instructors all have extensive experience in teaching Arabic as a Foreign language and participate in a program of continuous professional development to ensure they're uptpdate on the latest pedagogy in language teaching. Some of our instructors are US alumni having studied educational pedagogy and best practices in the USA. Our language partners are usually students at the local university who are either studying education or language. ​Our founder, Zainab Jones, has over 18 years of experience in education, leadership development and study abroad in Oman and the UAE. She holds a Masters’ degree in Developmental Psychology from UCL in London and a Bachelor’s degree in Education. In addition to Zainab’s time on the Arabian Peninsula, her cross cultural experience includes a multi-cultural family based on three continents. Her understanding of the difficulties inherent in crossing cultures, including the challenges of second language learning, the highs and lows of culture shock, and the challenges of encountering new traditions and expectations have inspired her to deliver workshops on successful cultural understanding and cultural sensitivity for expatriates entering the region. In her previous role as the Education Abroad and Scholarships Manager at one of the oldest and largest international NGO's in Education Abroad today, Zainab gained invaluable insights and experience in running short term, semester long and academic year study abroad programs. During her time with them she successfully developed, managed and delivered programs such as NSLI-Y, YES Abroad and a number of short term customised programs. As an active and passionate learner of languages and culture, Zainab has traveled to over 26 countries across 4 continents as a student, tourist, employee, and as a mother. She has hosted American students in her home in Oman for semester abroad programs, and has provide counselling sessions to students facing challenges in adjusting to local customs and traditions. Through her work in education, volunteering, family connections, and rural involvement, Zainab offers a broad understanding of Oman and the Omani people.